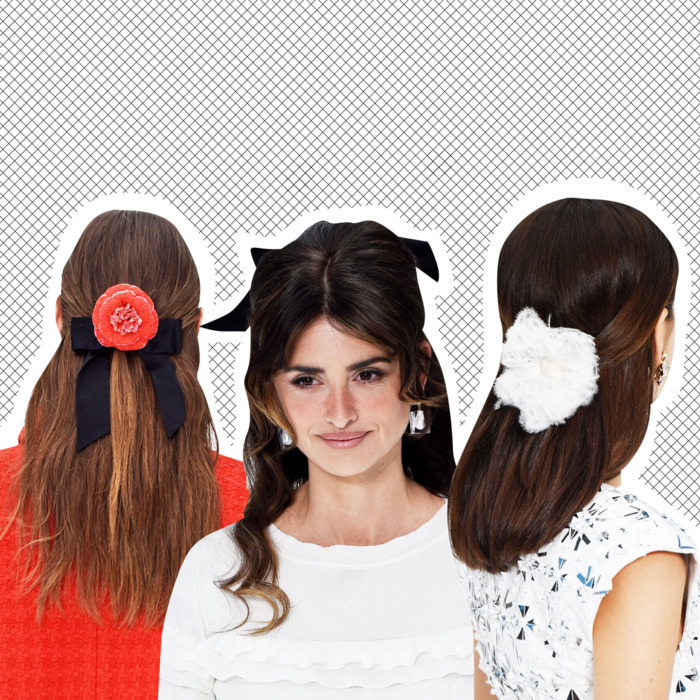 Earlier this year, we asked: should we all start wearing barrettes? After taking a look at Chanel’s wintry fall 2019 runway at Paris Fashion Week, the answer is: yeah, do it. Everyone’s wearing them, including Penélope Cruz who closed Karl Lagerfeld’s final show in a fun feathery one that was hanging out with a bow. An introductory ribbon for the beginner. A linear barrette with some flair for intermediates. A colorful, multi-barrette cluster for the more experienced. Other McKnight creations created backstage include the hair-ribbon-under-hat combo for those who like to push the boundaries, and the oversize-flower-barrette-on-top-of-a-ribbon for the indecisive. Mix and match until you find what combo you and your hair like best. And take your time, it looks like clips, bows, and barrettes will be around for a while.